The billion-dollar international phenomenon you’ve probably heard of: Star Wars continues its saga with the release of Rogue One: a Star Wars Story! The movie falls in the time of our favorite galaxy far, far away’s most volatile melting pot of stories; taking place after the events of the Episode 3: Revenge of the Sith, and before the events of Episode IV: a New Hope. 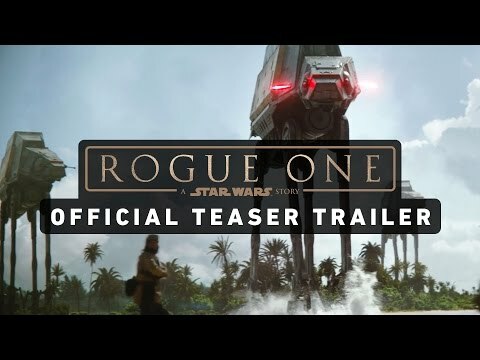 Rogue One: a Star Wars Story will follow a band of rebels on a mission to steal the Empire’s plans for a new super weapon, and is promised to be one of the grittiest Star Wars films to date. With director Gareth Edwards surrounding himself with talents who have worked on combat-heavy films such as Saving Private Ryan or Black Hawk Down, the film is set to touts the second half of the franchise’s title (Wars). While we here at UltraSabers are more than excited for another installment of the ongoing saga, you can imagine our feelings on the lack of lightsabers that will be making their appearances in the film… Check out the trailer below and let us know what you think!